the enhancement and the promotion of Northwestern Ontario’s Francophone community in order to celebrate its richness and the added value it represents for our communities, the region, Ontarian society, and the country as a whole. A federation and accounts 26 member groups that work in different sectors including education, culture, early childhood, genealogy, women, literacy, health, entrepreneurs, seniors and youth. Canada’s business development bank and the only financial institution dedicated exclusively to entrepreneurs. Their mission is to help create and develop strong Canadian businesses through financing, consulting services and securitization, with a focus on small and medium-sized enterprises. Partnering with NEW, YES and Adult Learning Centres throughout the region to provide clients with as many options as possible to start, grow and expand their businesses. 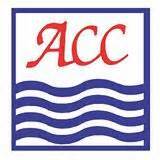 Their training programs are those which our clients can access including wage subsidy and grants. 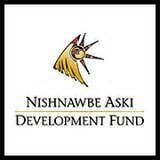 Nishnawbe Aski Development Fund (NADF) is an Aboriginal Financial Institution (AFI) providing financing, business support, community planning, and economic development services to Aboriginal communities and businesses in Northern Ontario. PARO Centre for Women’s Enterprise is one of Canada’s most successful business support and networking organizations. As a not-for-profit social enterprise, they collaborate to empower women, strengthen small business and promote community economic development across the North of Ontario. They want to help women create new opportunities for their communities and region. Every enterprise – be it for social outcomes and no matter how small – can have a positive impact. Creates links between organizations from all regions of Northern Ontario, such as: Sudbury, Timmins, North Bay, Sault-Ste-Marie and Thunder Bay, to put in place a system to facilitate the reception and integration of newcomers. Increase the number of French-speaking immigrants as to increase the demographic weight of the francophone communities in a minority situation. Improve the capacity of French-speaking communities in a minority situation and strengthen welcoming and settlement structures for French-speaking newcomers. Ensure the economic integration of French-speaking immigrants within Canadian society and francophone communities in minority situations in particular. Ensure the social and cultural integration of French-speaking immigrants within Canadian society and francophone communities in minority situations.